1. When logged into your GroupRev account, click on Fundraisers. 3. 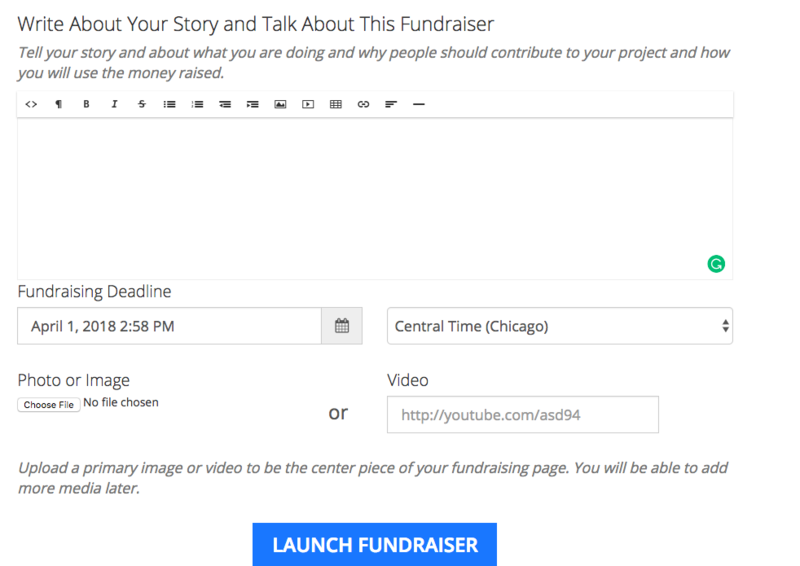 Now give your fundraising page a title, description, set your fundraising goal. 4. Continuing down the page you can enter in your story. This is to help people understand what you are raising money for. Set a fundraiser end date as well as upload an image and a video if you wish. 5. 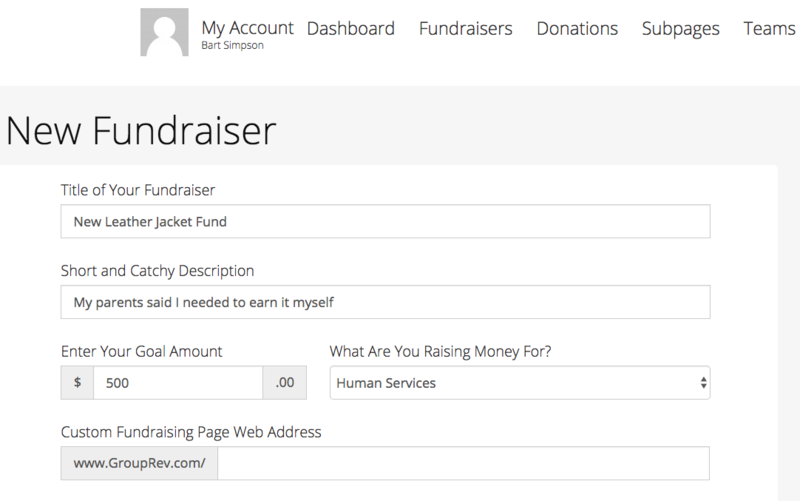 Click Launch Fundraiser to officially create it and start accepting donations.